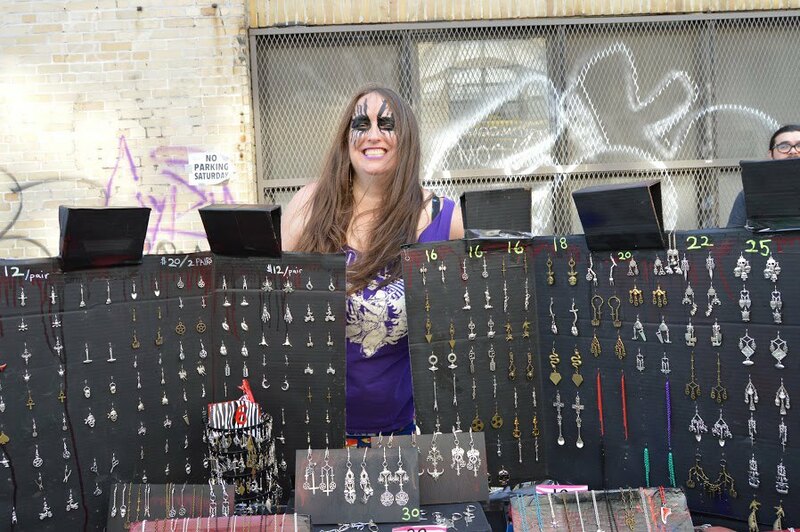 Bushwick Open Studios is the best but the icing on top of the cake was without question, the Bushwick Collective Block Party. And while Gov Ball is cool too (who doesn't love day drinking to live Weird Al?) 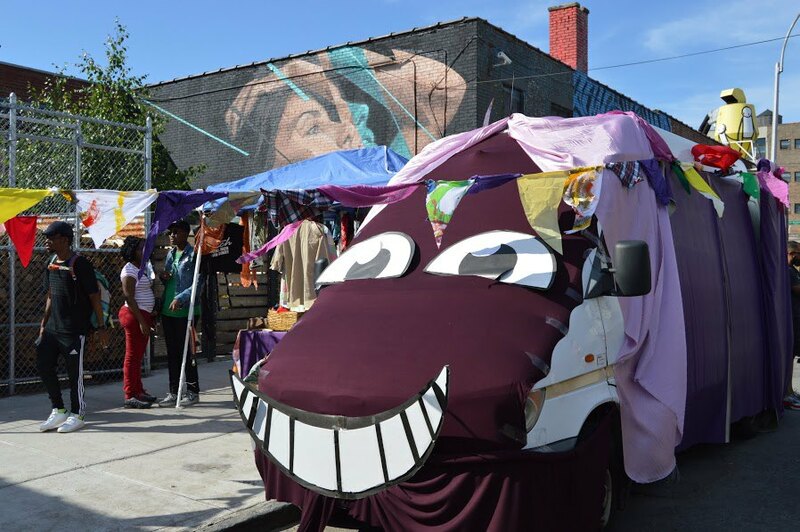 your time, shoes and $$$ were better spent hanging out on Troutman St than Randall's Island, and not just because Gov Ball would have set you back $350 (yeeesh). Not to give you a throwback to the SATs, but if we use the analogy that "Gov Ball is to mud what BOS is to glitter" that just gives you a brief idea of how freaking awesome everyone looked. I mean, the outfits throughout BOS were seriously on fleek (well, they might be, I still have absolutely no idea how to use this word). 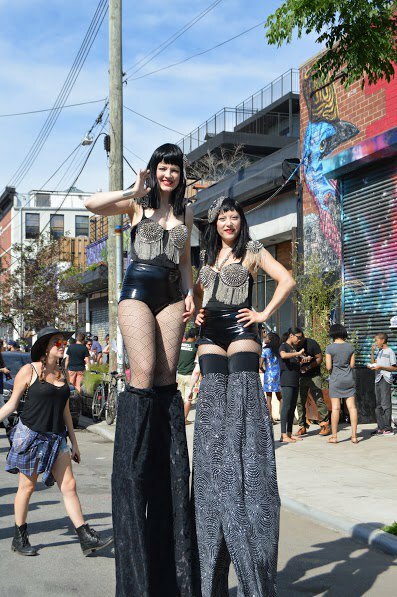 Elena Kanagy-Loux, pictured directly below with her friend PJ Linden, said the outfits at the Block Party reminded her of the famous Coney Island Mermaid parade. 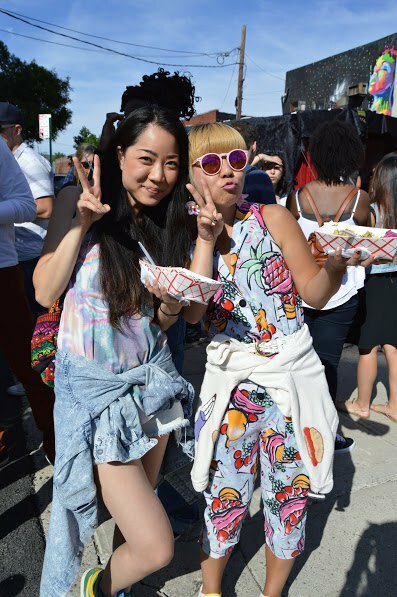 Fun fact: purely by coincidence, the girls were also featured in a BOS outfit roundup in 2014. 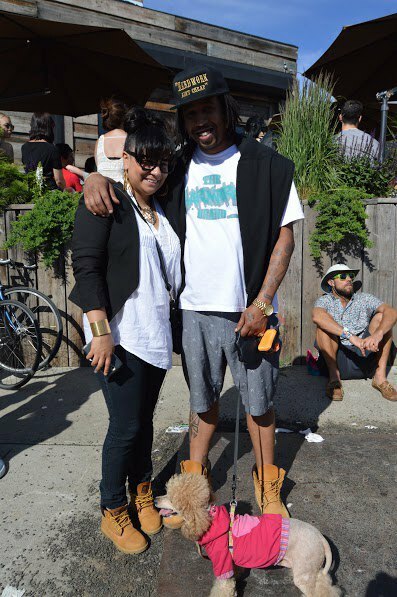 Dogs aren't permitted at Gov Ball? Psssh. Not only were dogs allowed at the Block Party, they wore cool outfits, like this poodle rocking a hoodie. OK, this is an easy one. 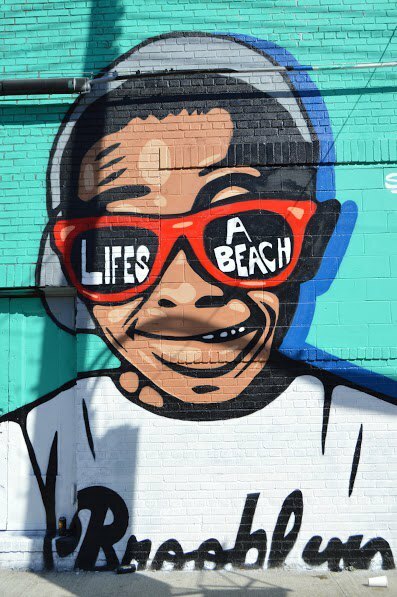 Would you rather be at a festival like Gov Ball where advertisements surround you, or be surrounded by some of the most impressive graffiti, mmm, ever? 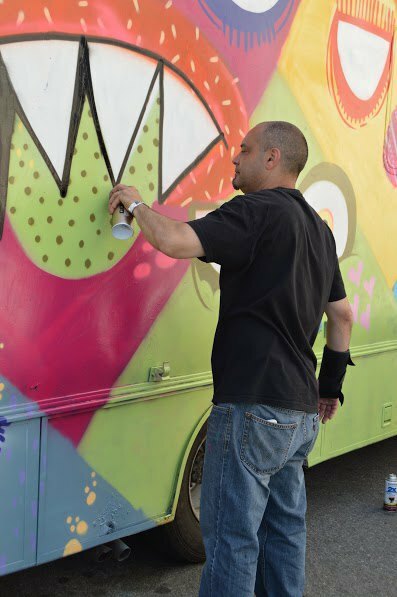 Throughout the block party, street art was made in real-time by some incredibly talented artists. 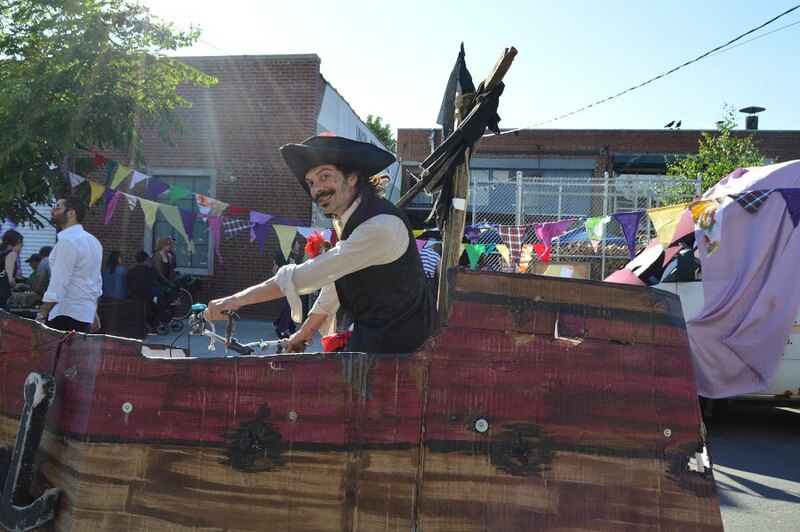 It wouldn't be BOS without a bicycle-turned-pirate-ship and beautiful retro-goth gals on stilts. Try sneaking any of that onto Randall's Island. 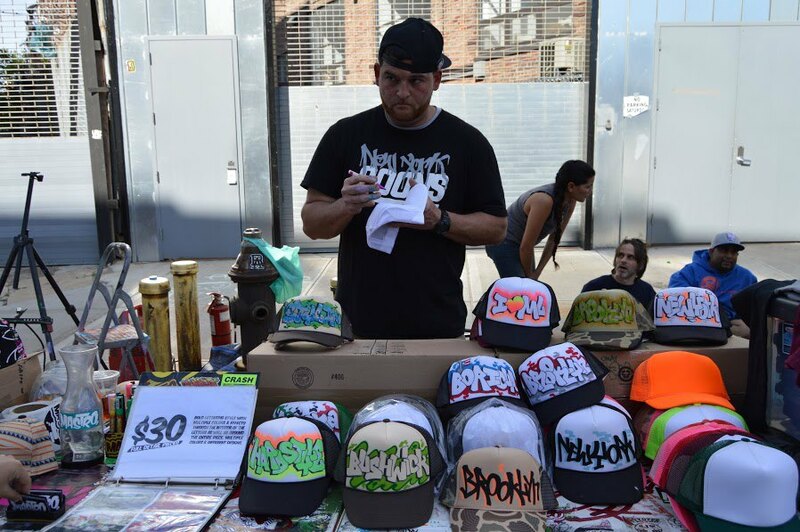 Local Bushwick vendors were part of what made the Block Party so special. 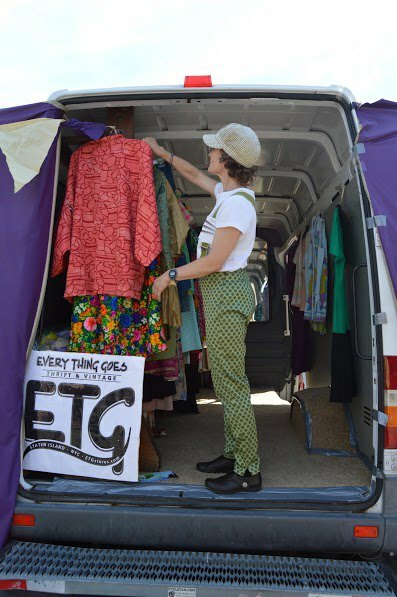 Thrift trucks, neighborhood grub, skilled artists, and awesome bars lined the streets attributing to an epic atmosphere. And not to rub it in, but you most certainly couldn't find $13 beer at BOS. (Why Gov Ball, WHY?) 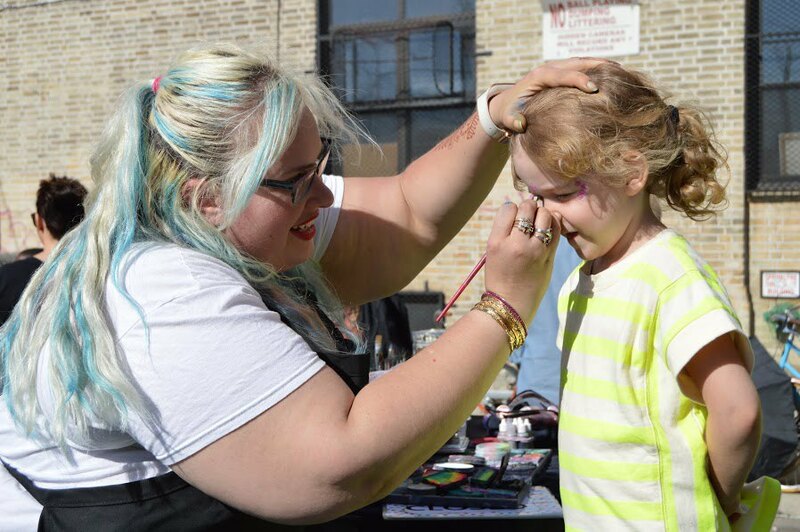 Oh, and did we mention face painting was free, too? 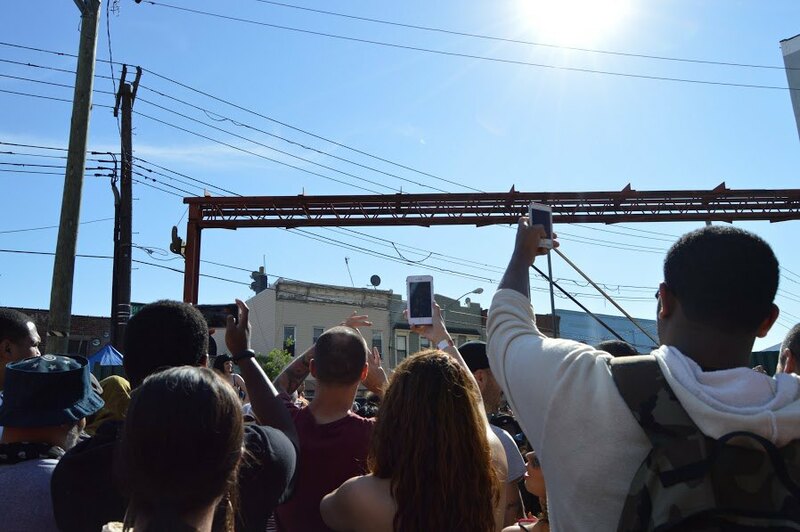 Sorry, but Fat Joe taking the stage around 5pm was everything. Instant flashbacks to being in 7th grade and rocking out to "What's Luv" was pretty much palpable among the crowd. (I apologize now, as that song will be stuck in your head all day). Also - Fat Joe looks great. 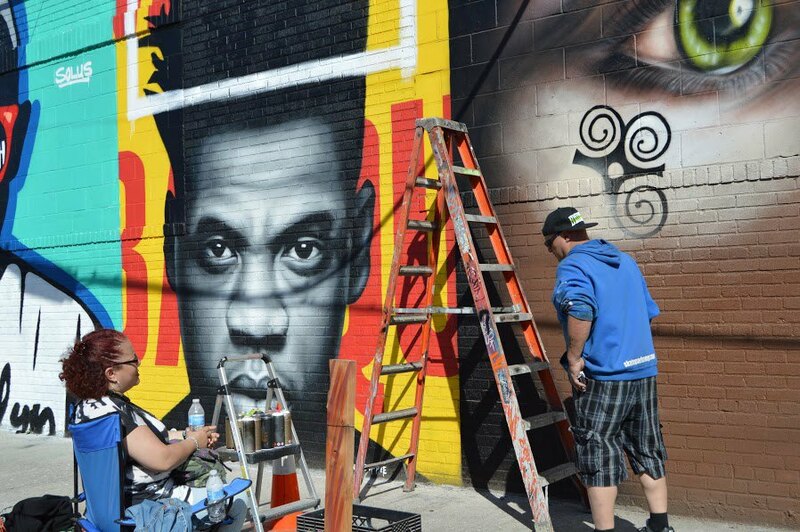 As fellow concert-goer Nikki Kaminoff put it, "Fat Joe? More like Slim Joe. Too bad his name isn't Jim." Truth, tho. 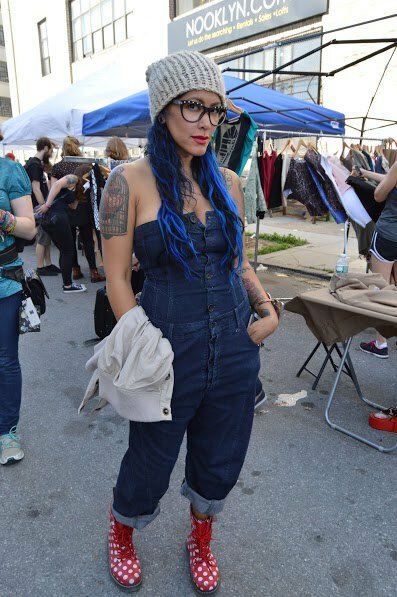 DJ Evil Dee also killed it in between acts like Daddy Long Legs, Shiro & the Raw Dogs, Golden Grass and Hound Basket. 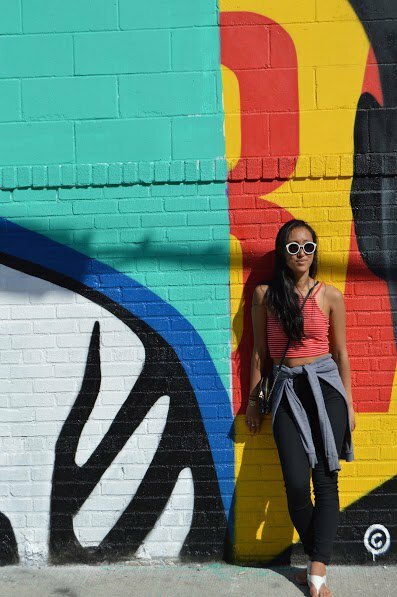 Sometimes you see something that's so instagramable it's actually painful. 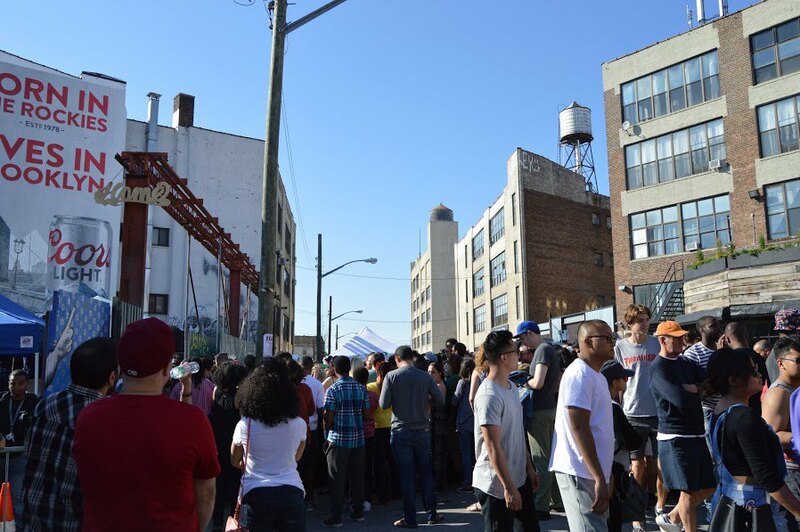 That was pretty much the case for every crazy exhibit at BOS and the Bushwick Collective Block Party was no exception. 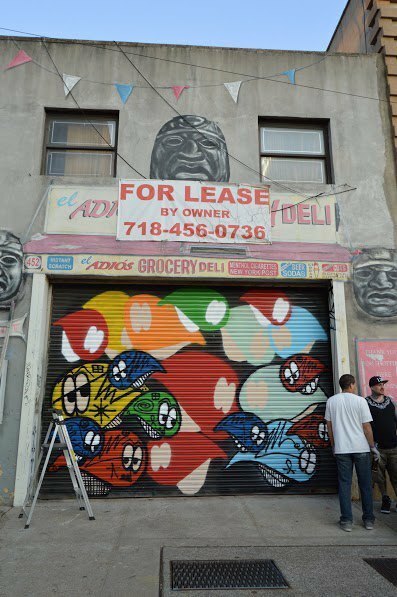 And asides from the graffiti, the one-of-a-kind works that filled the street begged for social media attention. 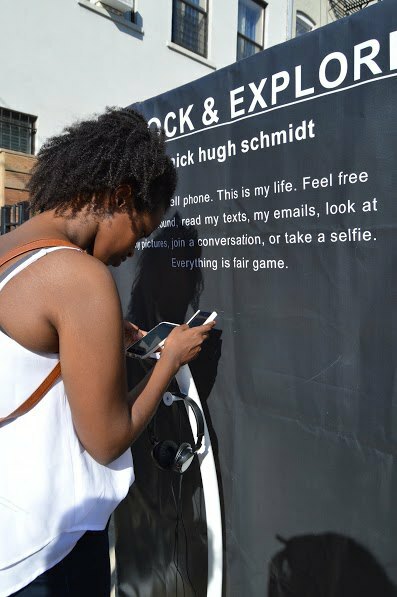 One artist, Nick Hugh Schmidt, used his phone as his canvas and encouraged passerby to take selfies and post them to his social media account. 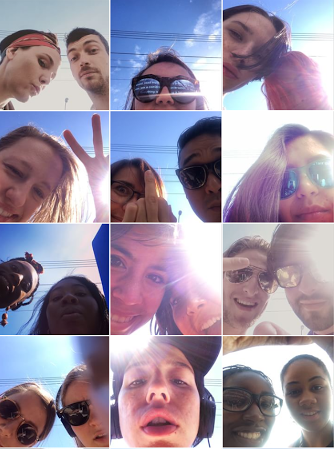 Many did, resulting in a weird collage of sky and faces (pictured below). 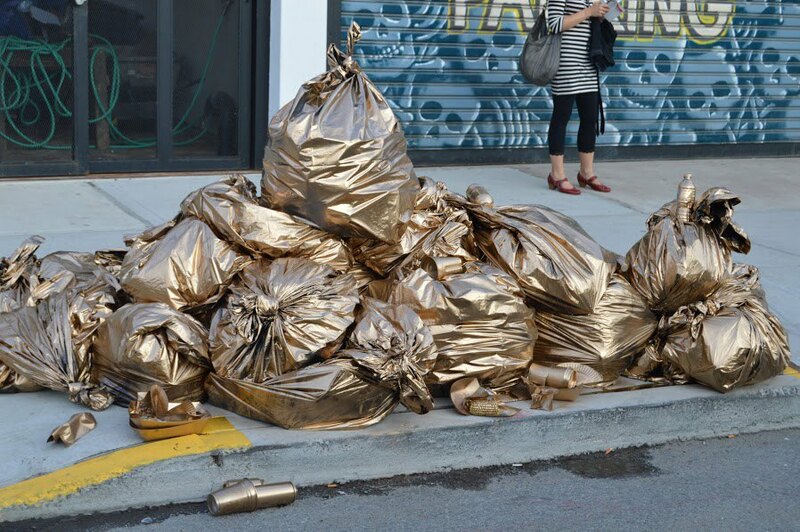 Plus let's face it, one look at that gold garbage and instantly three perfect hashtags pop into your head. 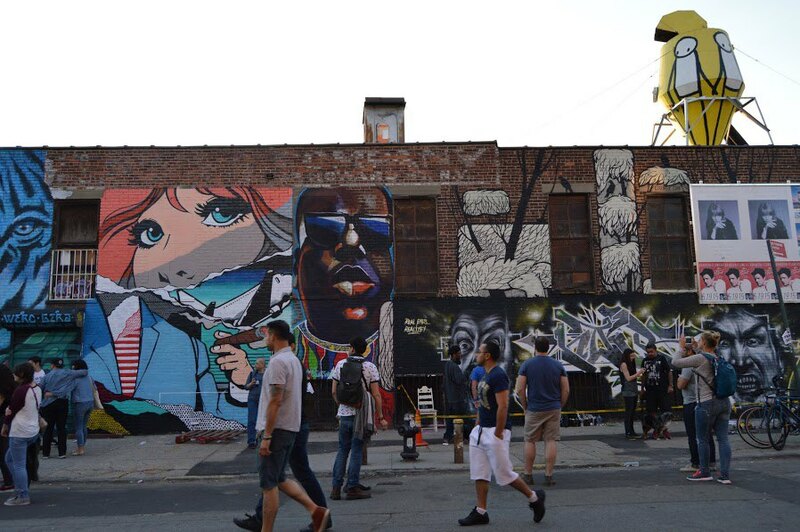 Yep, Bushwick Collective Block Party > Gov Ball.